Another one done. 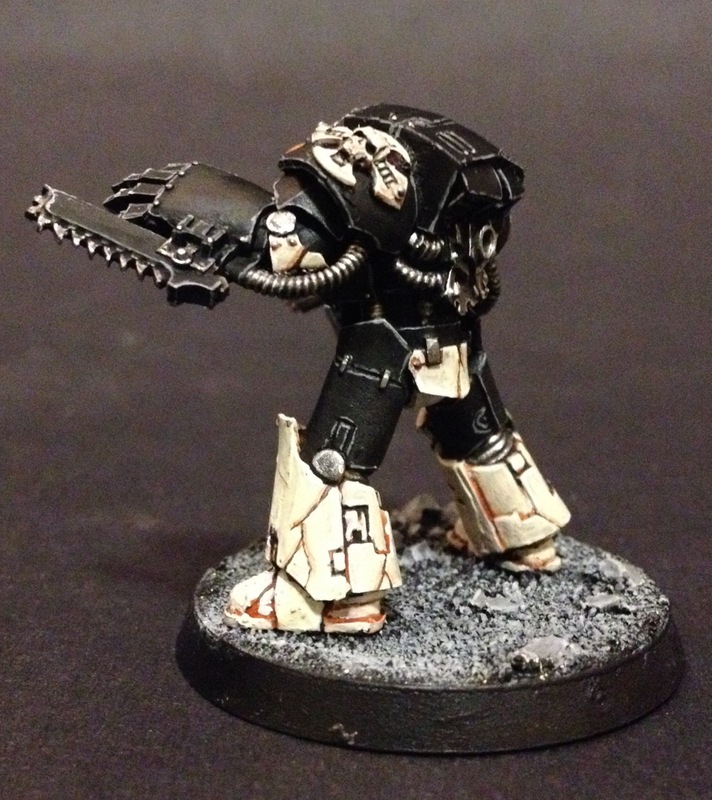 The second of my Mortifactors Terminators has clomped and stomped its way off my work bench and is now reporting for duty. 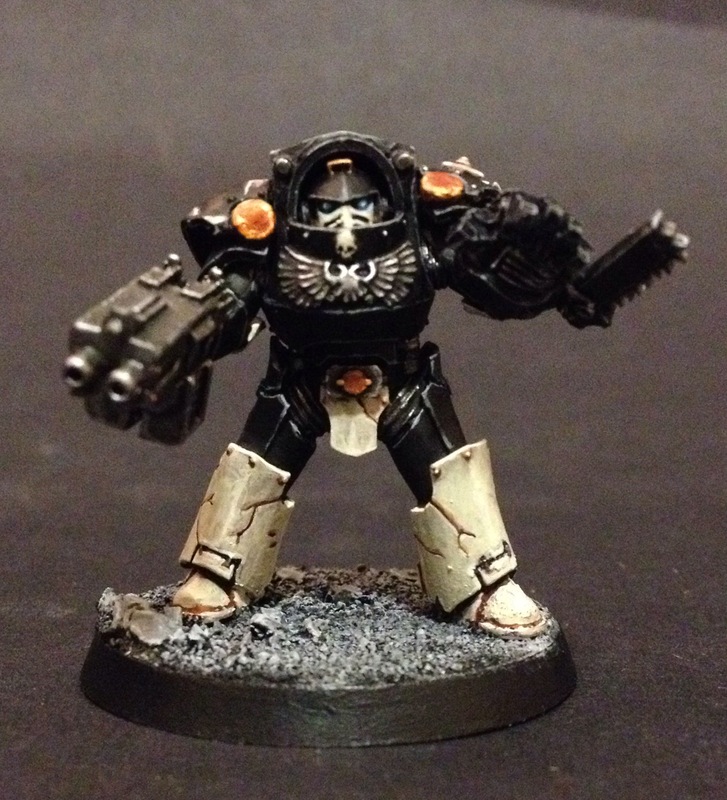 This guy comes armed with a storm bolter and a chainfist, so I look forward to him carving his way through some heavy armour in the near future. 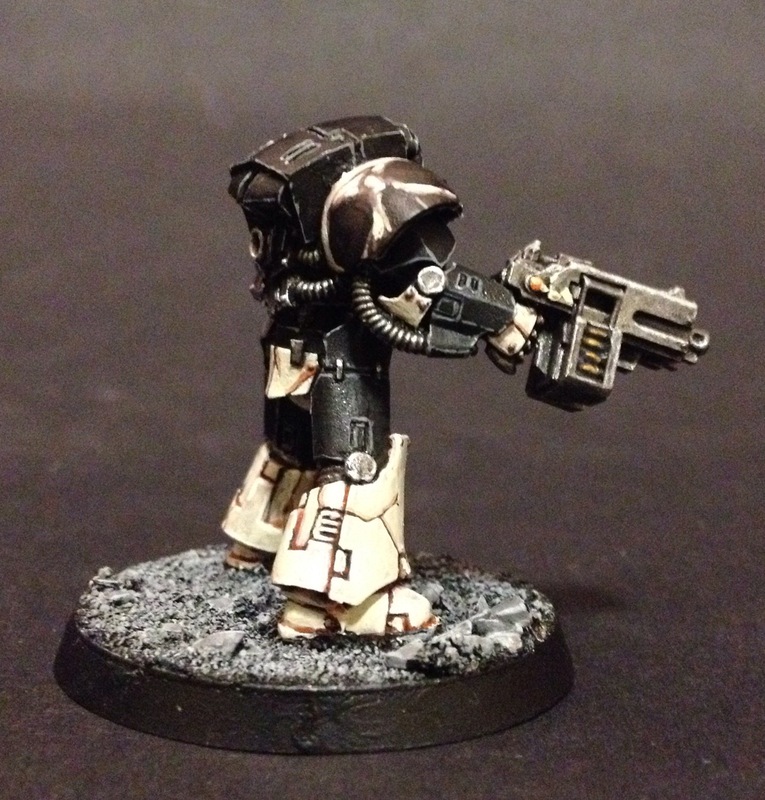 The chainfists that come with the kit are very clever and look excellent – they just slot on to the underside of the power fists and though I’m only intending to use two in this squad, I was very tempted to use all four that came with the kit. In terms of painting, it’s very much as per usual with the Mortifactors colours. I would say that not only am I really impressed with the look of the storm bolters in terms of the sculpt, but I’m really happy with the job that I’m doing on the painting. It’s simple to the extent that it’s not worth calling it a technique, but I’m just really enjoying the look of it. 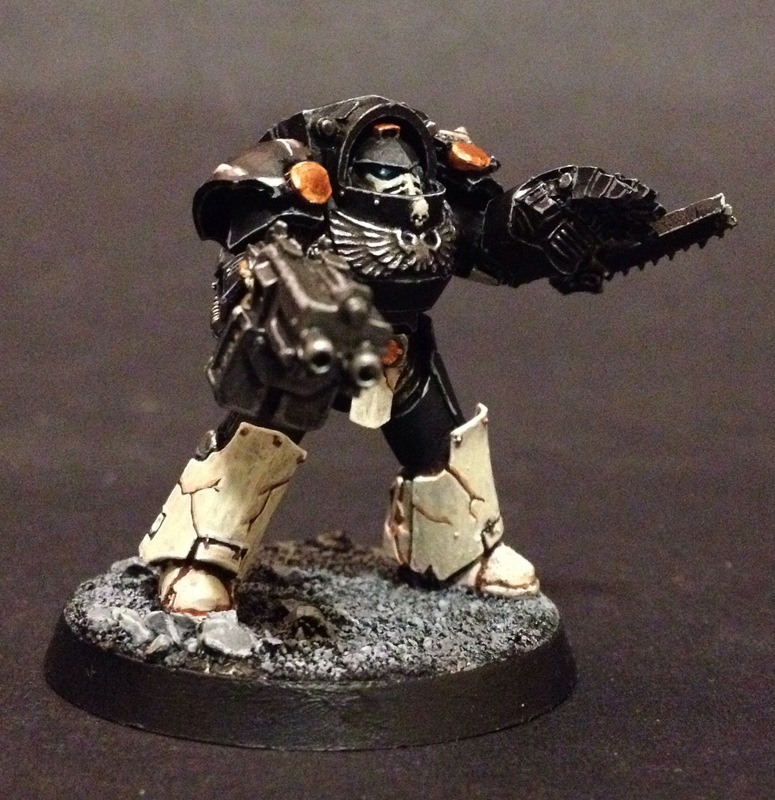 This chappy was undercoated black and was painted using Citadel Paints and a W&N Finest Sable Series 7 000 brush. Stay tuned for more Terminators to come – knocking out one a week! And here are a couple more pictures for you to enjoy. Onwards! This is a really cool color scheme. Very unique! That little bit of orange pops so much, and makes the whole scheme come together IMO! Thanks guys. Really nice to read your comments.